Can The Insurer Refuse to Renew My Policy? 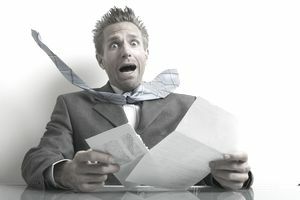 You are at your desk thumbing through the day's mail when you notice a letter from your insurance company. You rip open the envelope and then groan. Your insurer is non-renewing your policy! For what reason would your insurer non-renew your insurance coverage? How much advance warning must your insurer provide if it plans to discontinue your coverage? Is your insurer obligated to renew your policy? This article will answer these questions. You have incurred too many accidents or losses. You have a poor safety record or have not maintained your property. Your employees have accidents or moving violations on their motor vehicle records. You have failed to comply with the insurer's loss control recommendations. Your insurer no longer wants to provide that type of coverage. Your business has changed and become more risky. You have failed to provide essential information requested by the insurer. You provided false information in the application. Generic conditions that are built into a policy form. State-specific provisions that are added to your policy via an endorsement. Many policy forms contain a generic provision regarding non-renewal of the policy. For example, the standard ISO general liability policy contains a clause in the Conditions section entitled When We Do Not Renew. It states that if your insurer elects not to renew your policy, it will notify you 30 days before your policy expires. Some policy forms are silent on the subject of renewal. In this case, renewal will be addressed in an endorsement attached to your policy. Virtually all states have laws that dictate what steps insurers must take if they intend to discontinue your coverage when your policy expires. The laws that apply to personal policies (like personal auto and homeowners) may be more restrictive than those that apply to commercial policies. Generally speaking, an insurer is free to non-renew your commercial policy as long as it provides you adequate notice. State law determines how much notice the insurer must provide. Different rules may apply to mass non-renewals. That is, if your insurer is withdrawing from the market because it no longer wishes to write a certain type of coverage, it may be required to notify you and the insurance regulator well in advance. Your insurer may also be obligated to find you a source of replacement coverage. Non-renewal requirements vary from one state to another. For instance, some states may require 30 days' notice while others dictate 45 days or 60 days. The rules your insurer must follow if it terminates your policy, either mid-term or at expiration, are typically explained in a state-specific endorsement attached to your policy. If you do business in more than one state, then a separate endorsement should be attached for each of those states. Once a state endorsement is attached, it replaces any generic provisions in your policy. For example, suppose that the Conditions section of your liability policy states that the insurer may non-renew your policy if the insurer provides you at least 30 days' advance notice. However, your state's law (and the state endorsement attached to your policy) requires the insurer to give you 45 days' notice if it refuses to renew your policy. The 45-day requirement in the endorsement supersedes the 30-day notice requirement in the policy. In addition to non-renewal, state endorsements address policy cancellation. Any generic cancellation condition that is contained in your policy will be superseded by the state endorsement. States generally impose stricter rules regarding cancellation of your policy than its non-renewal. For instance, many states prohibit insurers from terminating a policy mid-term if it has been in force for a certain time period, such as 60 days. These rules typically have exceptions. For instance, your insurer may be permitted to cancel your liability policy if you lied on your application, misrepresenting your business as a clothing maker when you actually manufacture fireworks. Some insurers will provide, as a coverage extension, earlier notice of cancellation or non-renewal than is required by state law. For example, an insurer may provide 90 days', 120 days' or even 180 days' notice. This coverage may be provided separately or in combination with other coverage extensions.